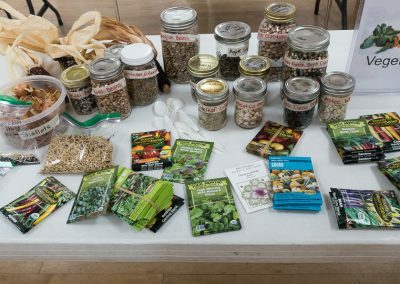 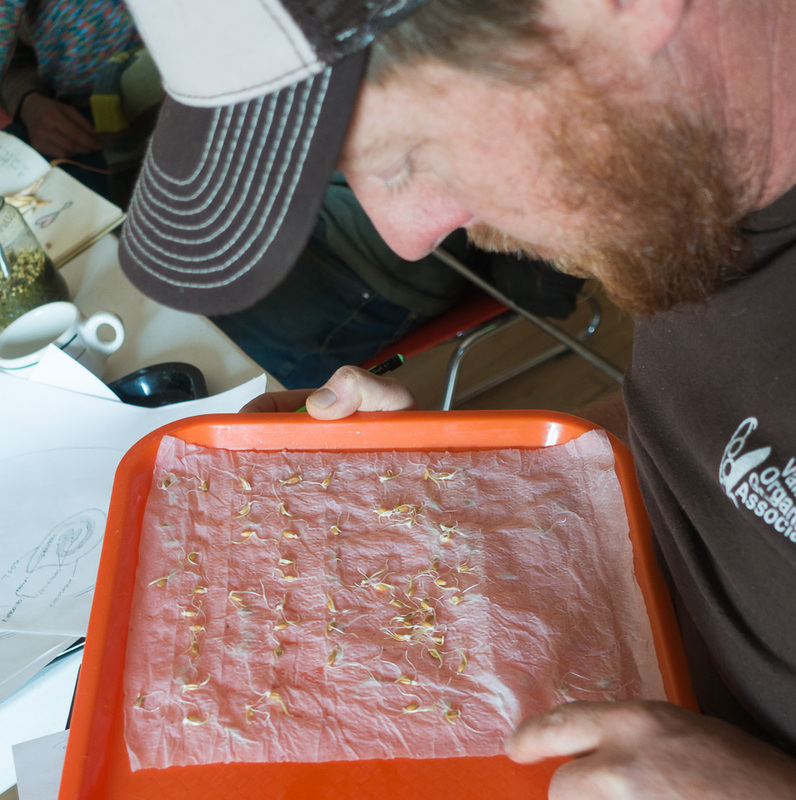 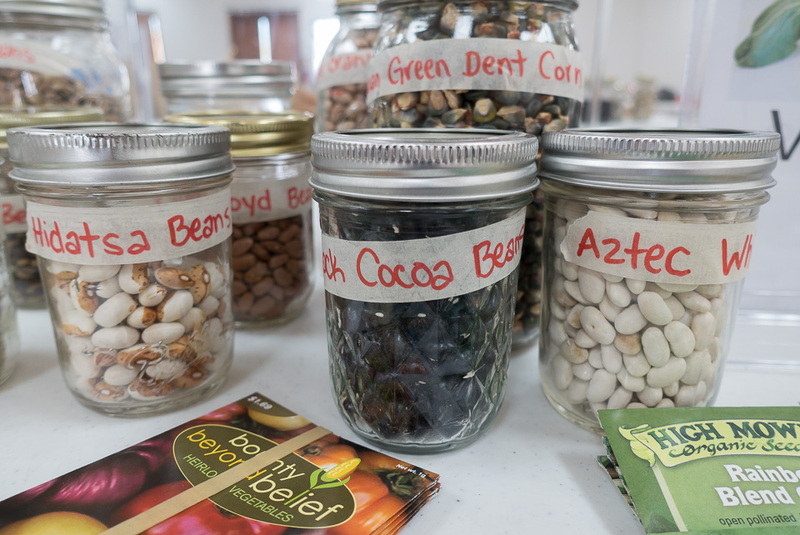 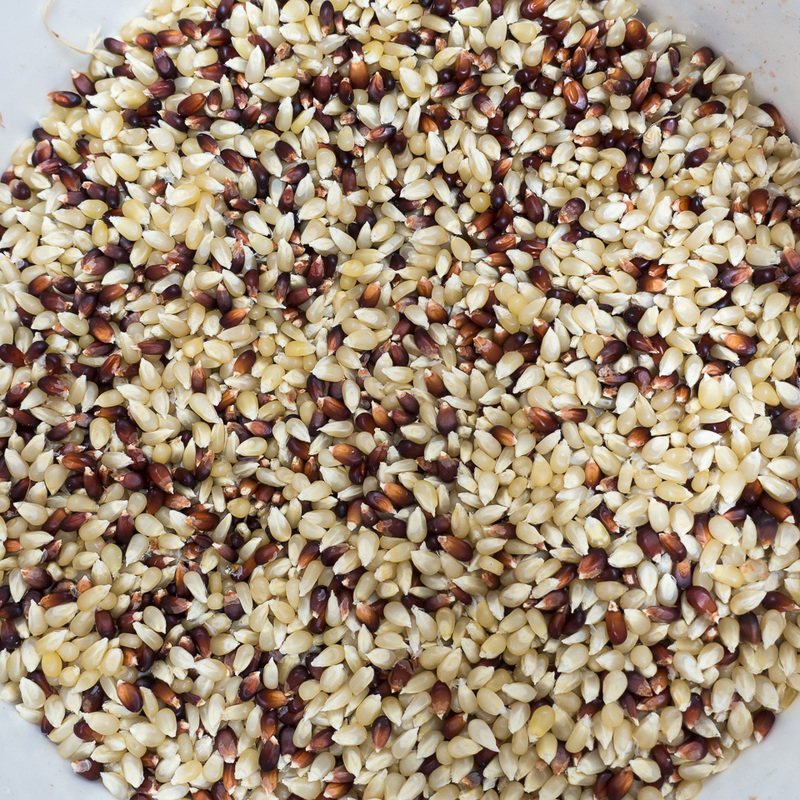 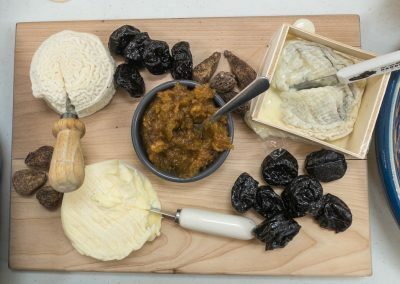 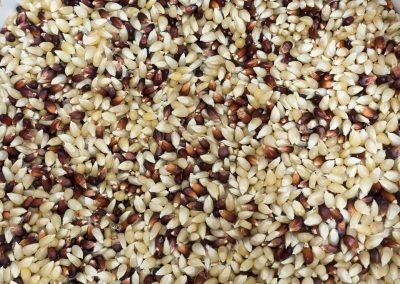 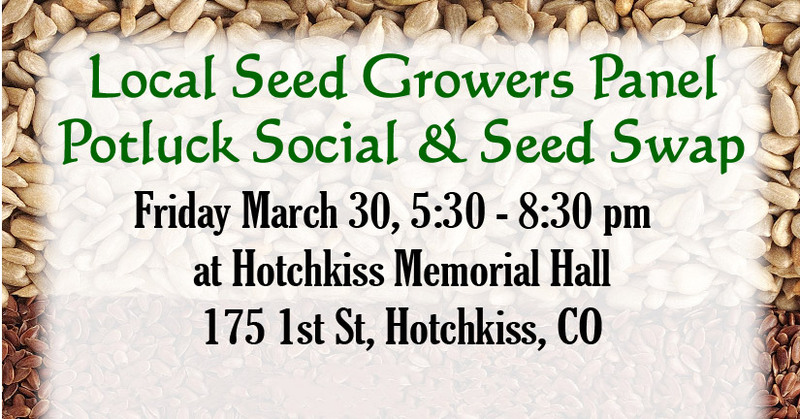 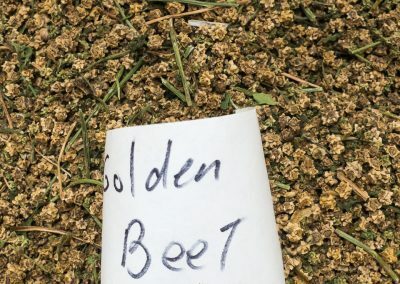 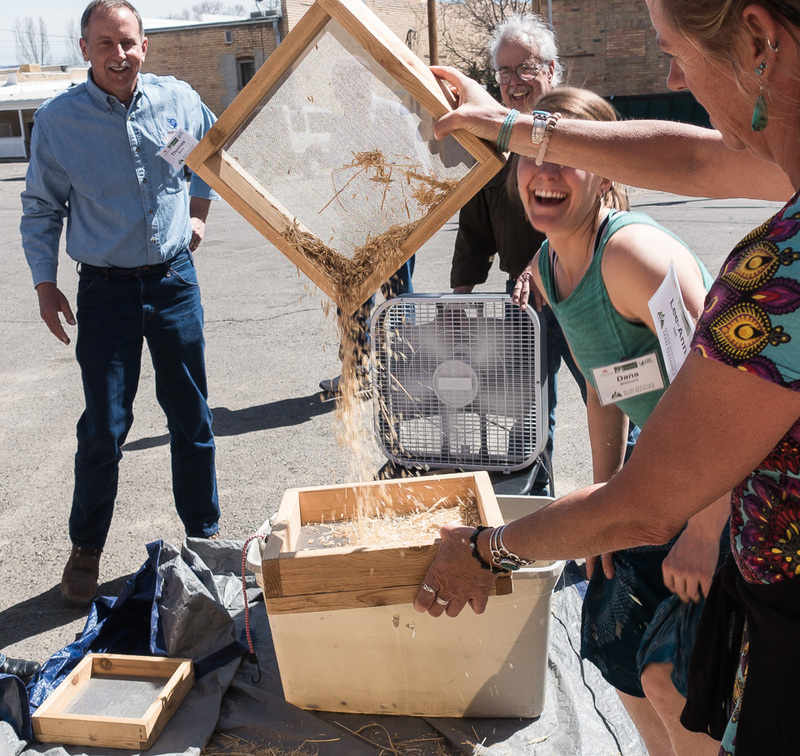 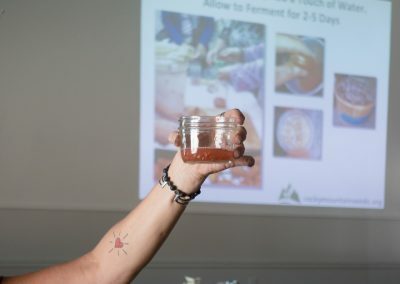 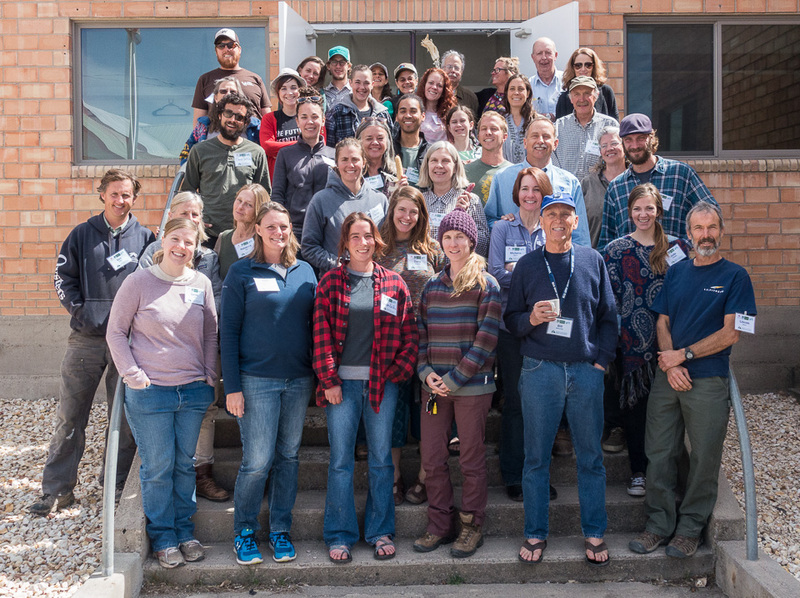 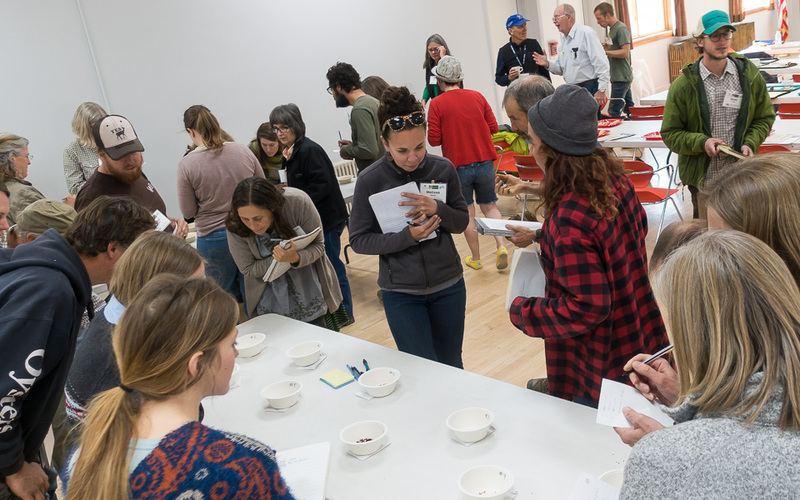 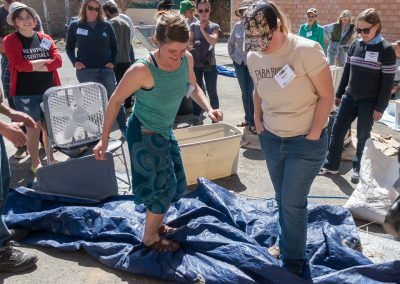 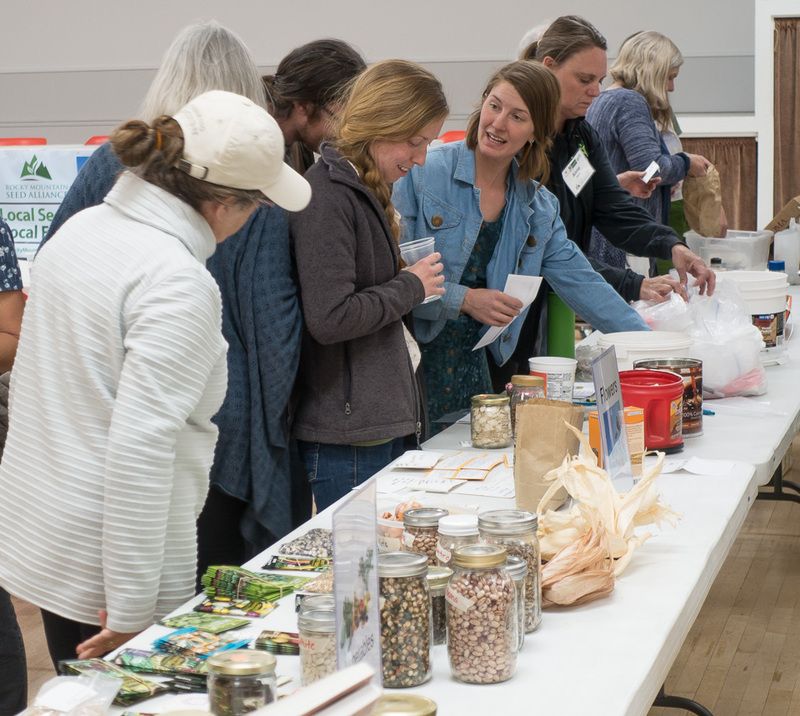 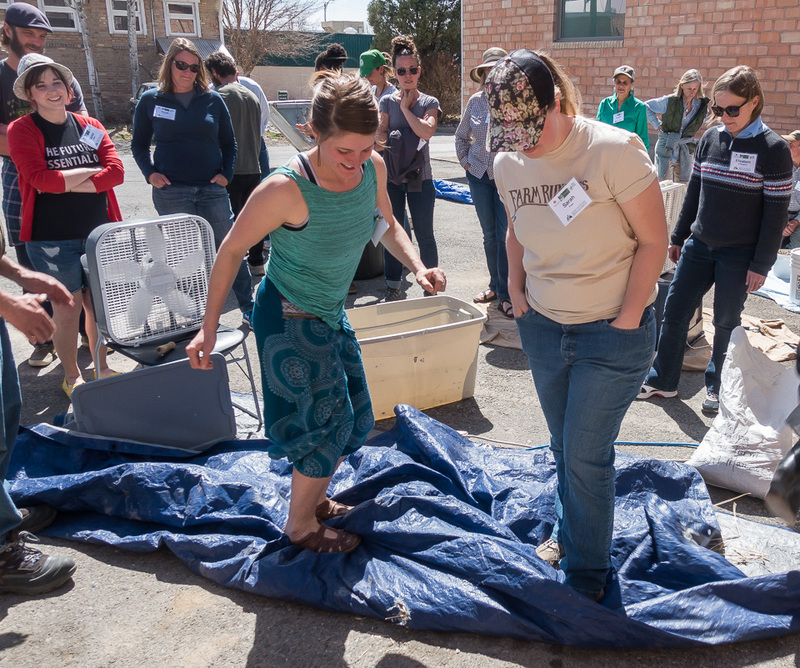 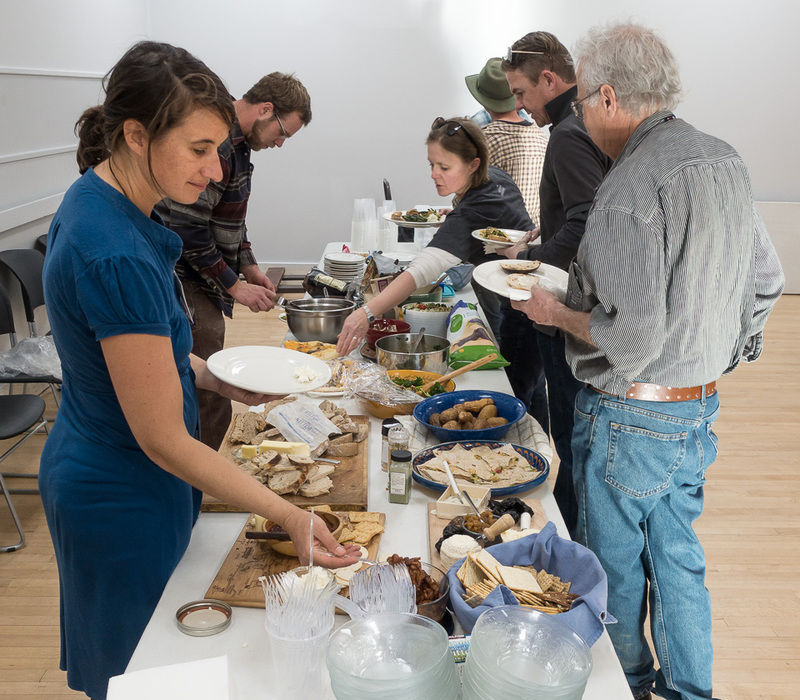 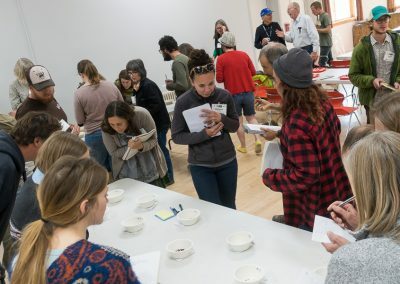 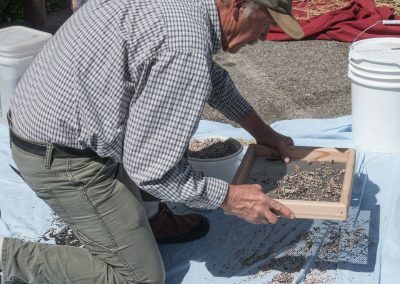 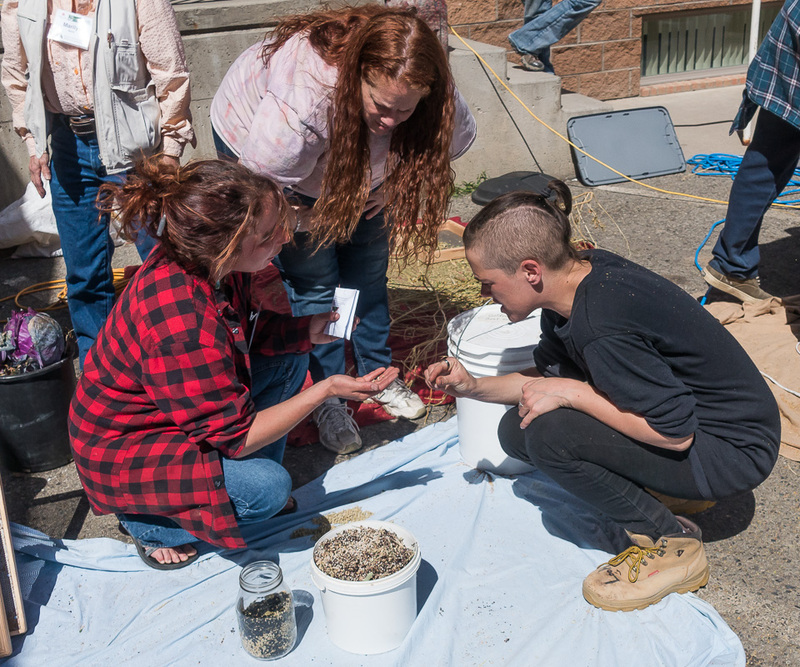 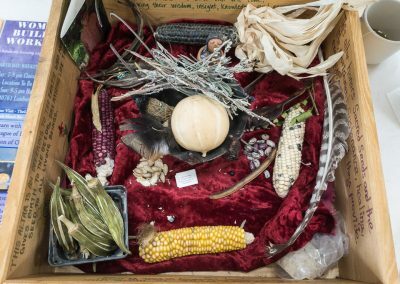 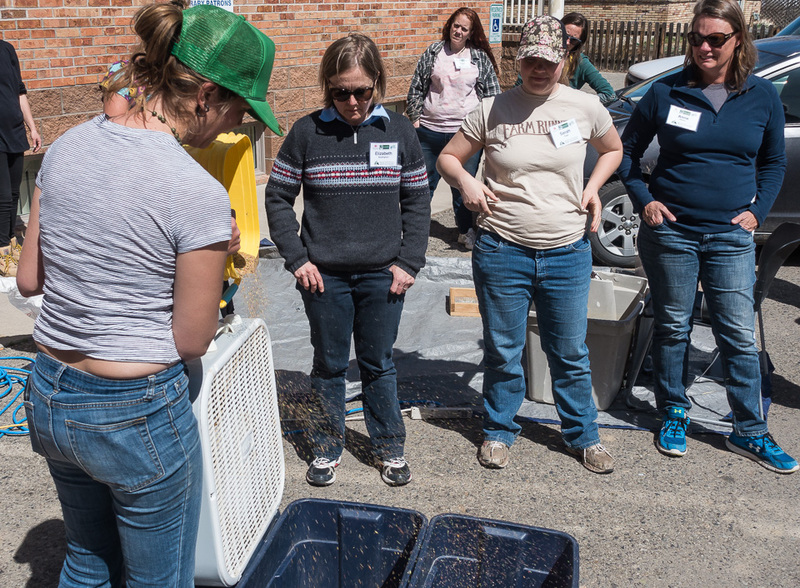 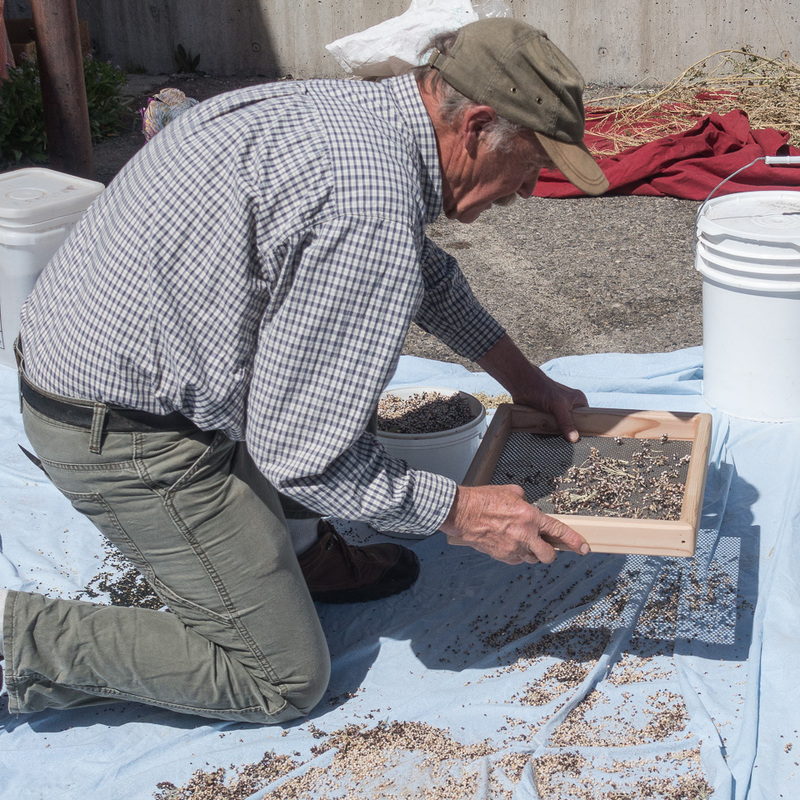 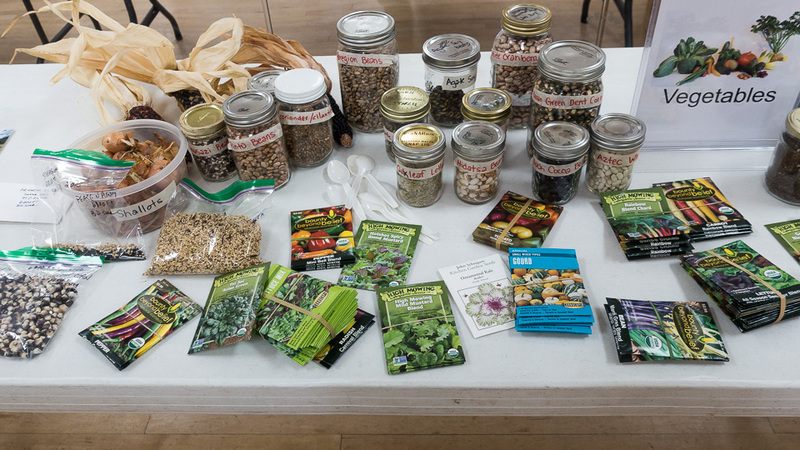 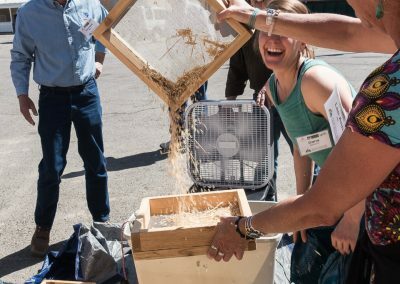 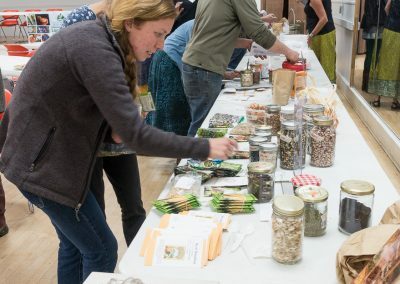 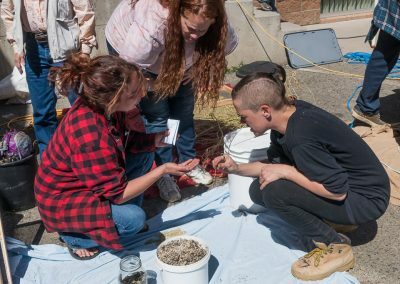 The Rocky Mountain Seed Alliance along with the Valley Organic Growers Association, The Learning Council and Slow Food Western Slope hosted a potluck, Seed Swap and a Seed Panel in Hotchkiss’s Memorial Hall on March 30, 2018. Select an image below to enter a slideshow of the seed swap and potluck. 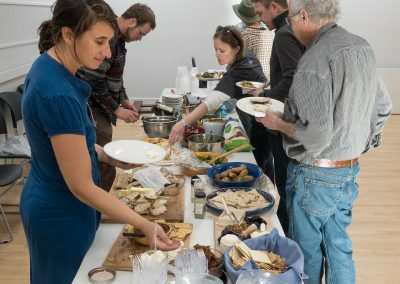 Daphne Yannakakis of Zephyros Farm moderated the Panel, which included Greg Cranson, Sarah Pope, Mike Chamas, Lance Swigart, Pat Frazier, Don Lareau and Laura Parker. 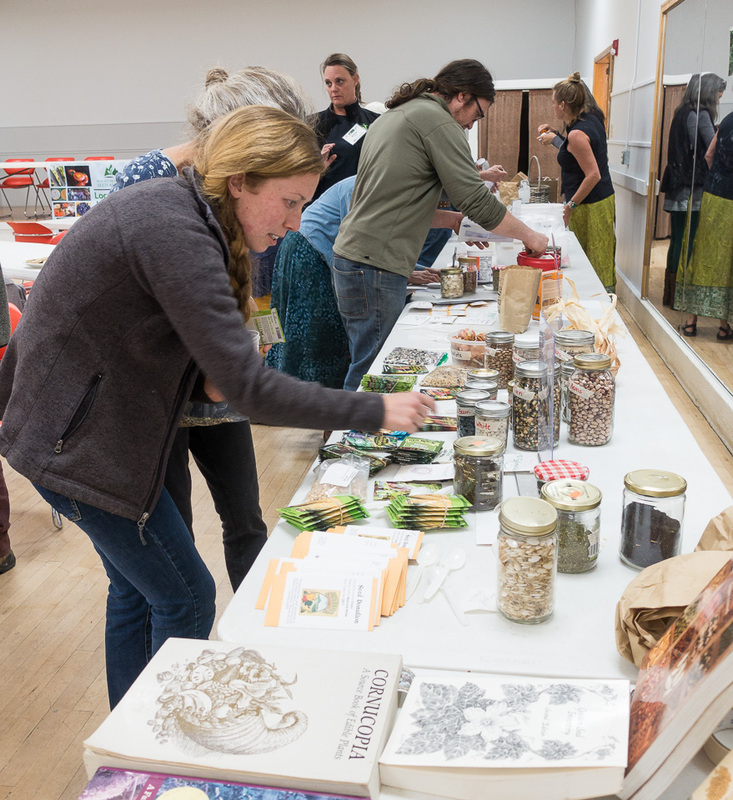 Chrys Bailey provided opening remarks. 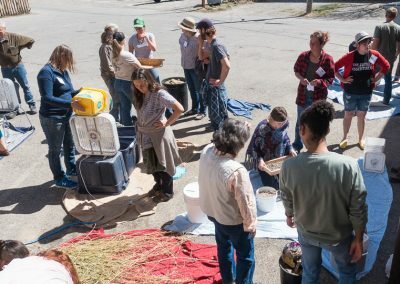 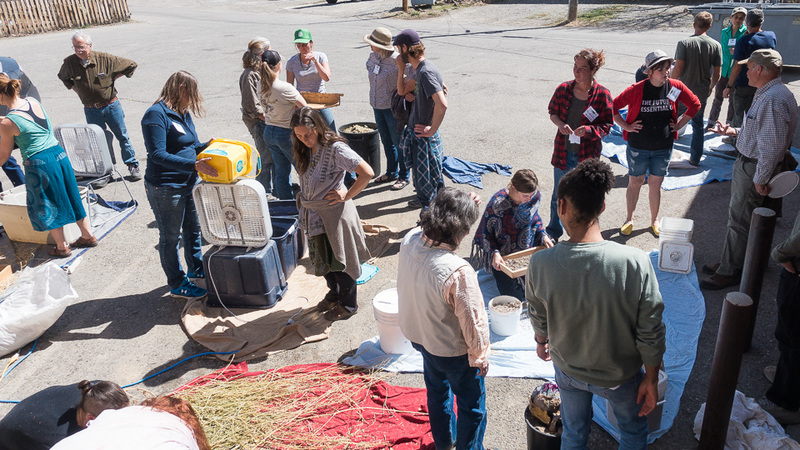 Seed School in a Day was a powerful, one-day workshop aimed at shifting the seed paradigm back into the hands of our communities. 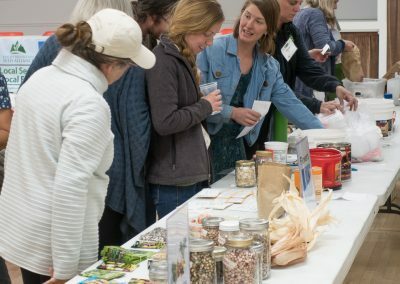 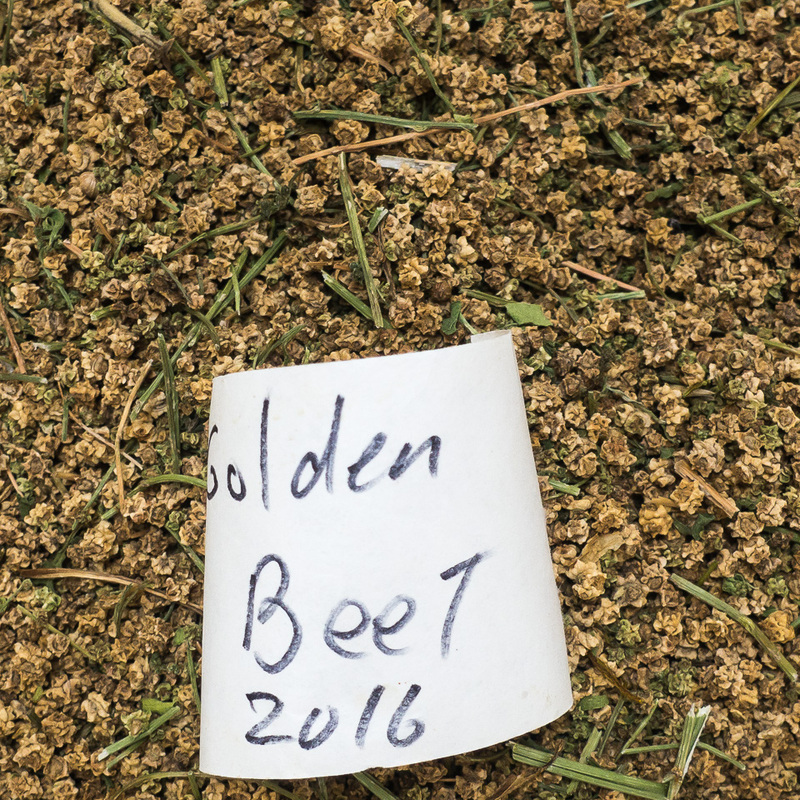 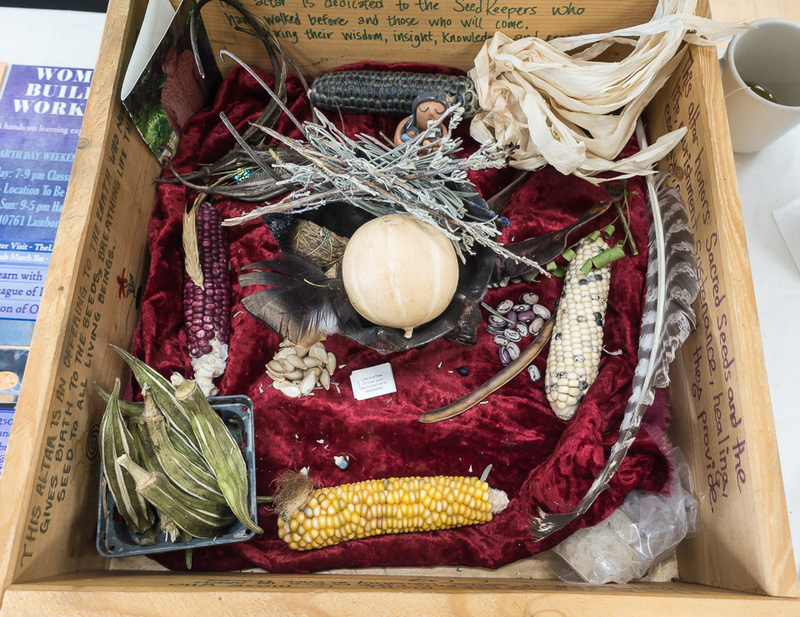 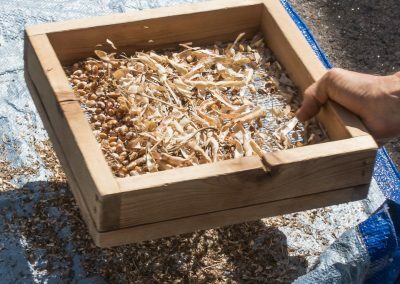 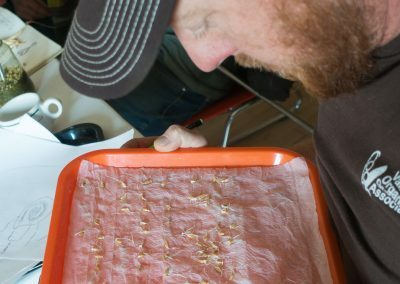 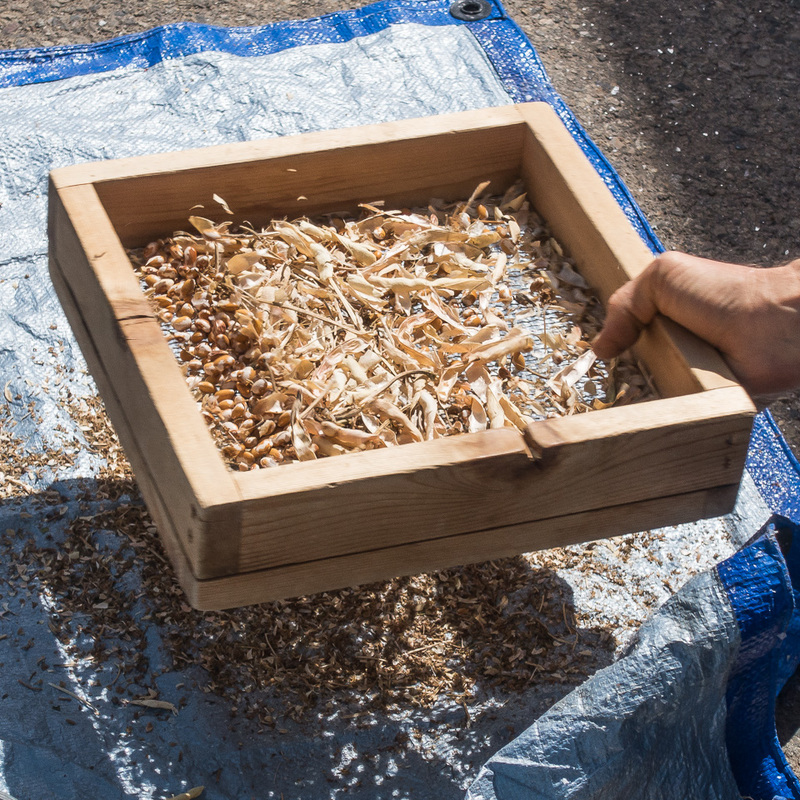 Seed School in a Day offers a comprehensive overview of seed knowledge covering the history, science, business, and craft of seeds. 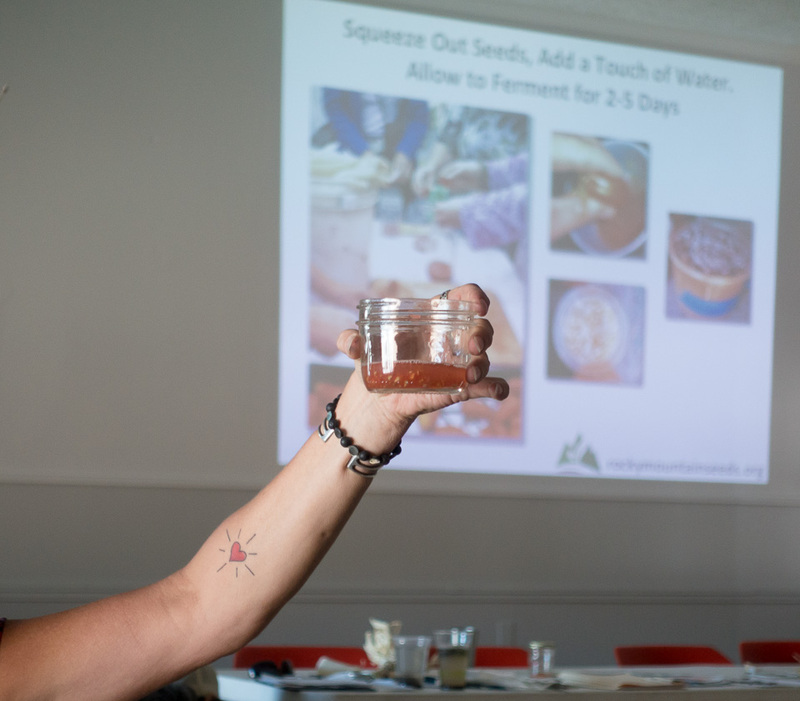 Practical, hands-on activities were balanced with engaging lectures to provide a fun and interactive learning experience. 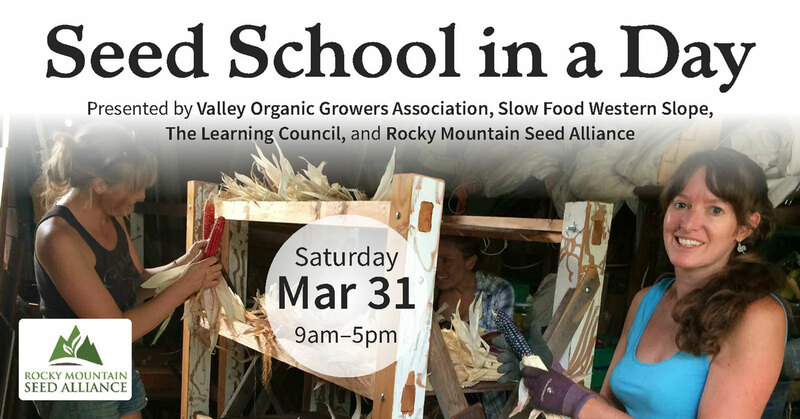 The school was led by the Rocky Mountain Seed Alliance.